In 1982 St Clarets competed in their first ever Intermediate County Final when they took on the emerging Tir Chonaill Gaels in the October decider at Ruislip. Sadly, in the final the Donegal men proved too strong for the young Clarets side, which contained no fewer than 13 London born players, and ran out 1-8 to 0-5 winners. Click on the player's pic to find out more about him. Click on the player&apos;s pic to find out more about him. In 1989 St Clarets won their first ever county title when they defeated St Anthonys 2-10 to 0-12 in the final of the Intermediate Championship. The following players represented the club throughout that season. In 1999 St Clarets reached their third Intermediate Football Championship Final, this time to face a highly fancied Moindearg. Against the odds and under the leadership of Tyrone man Tony â€œSpinnerâ€� McLaughlin RIP St Clarets lifted the IFC title for the second time. In 2002 St Clarets reached their first ever Senior Championship Final where they met old rivals St Brendans. Sadly the club were not to be successful on that occasion, but it marked a massive step forward for the club. The following players represented the club throughout that Championship campaign. In 2004 St Clarets defeated Round Towers in the Intermediate Championship Final by a scoreline of 1-8 to 1-6. The following players represented the club throughout that Championship campaign. A battering ram of a forward, Laurence gave his all for St Clarets for many years and even as the pace started to desert him, the power was always there. An excellent target man in later days, Laurence, or â€œLozâ€� as he was known, was a popular and reliable member of the team, with an eye for a score and a real commitment to the cause. On his game, Dave was the purest mix of football and poetry imaginable. A nimble, intelligent, quick-thinking and fast-moving forward, Dave could play either in the corner or at wing forward. Of no Irish extraction at all, Dave took to the game with great ease coming out of minor level and went on to become one of the most feared forwards in London intermediate football for some years. In tandem with the like-minded John Flanagan on the other wing, this dynamic duo broke many hearts in London during their particular reign of terror. One of the most naturally gifted footballers to come out of St Clarets in the 1980s, John made forward play look effortless. Full of tricks and turns, with lightening speed, John will go down as one of St Clarets favourite sons. He graduate through the underage system and soon cemented a place in the senior team. An absolute Trojan of a clubman and a player, Mark was a fixture on the St Clarets team for more than ten years. A team orientated player, Mark formed a formidable midfield partnership with Kevin Gilmartin, as well as linking well with the likes of Denis McCarthy in attack and Paul Treanor in defence. A maintenance-free footballer if ever there was one, Markâ€™s place in the annuls of St Clarets are secure. Seamus played primarily throughout the early and middle part of the 1980s and developed into a strong, reliable defender, who excelled in the corner. A graduate of St Clarets seemingly limitless academy of quality Gaelic footballer born in London, Seamus was a deserved representative on the 1982 team. Son of Mick, one of the founding members of the club, like so many of his team mates, Kevin grew up playing football for St Clarets and it was fitting that he was part of the team of 1982, the first to make a significant breakthrough in London football. Of Kerry-stock, Kevin was a dependable player and represented St Clarets for ten years. The highly versatile Kevin represented St Clarets for many years in many positions. He scored one of the clubâ€™s three goals in their semi-final win over John Mitchells in â€˜82. During that campaign he featured manly as a forward but later on in the 1990s, he played in goals for the sides too with much distinction. A calm and confident individual, Kevin could always be relied on to do a solid job for St Clarets, regardless of where he played. Brendan is the eldest son of Danny, one of the founding members of the club. 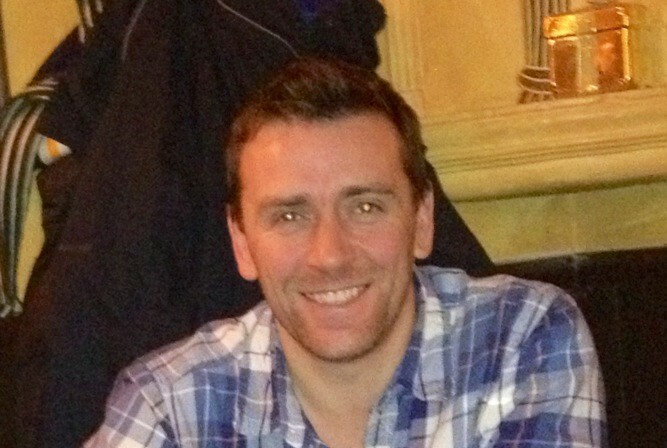 Having developed through the youth ranks of the club, along with his younger brothers Eamonn and Danny, London born, Brendan was a member of the senior panel for more than ten years and during that time he became a reliable and valued member of the team. Brendan stopped playing around about 1988. Mayo man Brendan was often the cool head among the young guns in this team of 1982. One of only two non-London born players in the side, along with Galway man John Carey, the Kilmaine sharp-shooter figured highly on the scoring charts in the 1982 campaign and his contribution was crucial to the progress of the club that year. 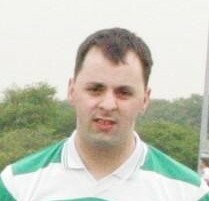 Now living back in Kilmaine, Brendanâ€™s younger brother Ollie was a member of the 1989 Championship winning side. Galway born Martin is probably the club's most recognised and celebrated player over the past 20 years. Having joined the club in 1986 from his home club Kilkerrin / Clonbern, Martin quickly made a impression with the football watchers in London and by 1989 he had represented London at U-21, Junior and Senior level. His time with the London Juniors included playing in Croke Park in the All Ireland Final in 1988. In 1989 he was captain of the side that lifted the club's first Intermediate Championship and ten years late he was still in the team as they lifted their second. Quiet and unassuming, Martin was still being called upon by the London senior team in 2001, 12 years after making his debut. Goalkeeper John Collins joined the club in 1985 from his home club Dregish in Tyrone and went on to represent London at minor, U-21 and Junior throughout his six-years with St Clarets. He played on the ’89 Championship winning team, but shortly after that success transferred to St Brendans, with whom he played for a further ten years, during which time he represented the London seniors on many occasions. He is the uncle of current senior player Luke Kelly. 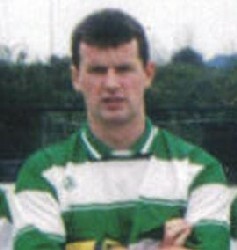 The younger of the McCarthy brothers, John matured into a tough, no-nonsense defender, who was a key part of the team that lifted Intermediate honours in 1989. Having developed as a footballer through the under-age system within the club and with London, John made a seamless transaction into senior football and had no difficulty holding his position on the team, right up until he left London to move to Wicklow in the mid 1990s. There were very few roles that London-born Tommy didn’t fill when playing for St Clarets. Having developed through the under-age ranks, Tommy graduated on to the senior team as a goalkeeper, but soon moved out the field, where he could comfortably play any of the central positions, from full back to full forward. Injury to regular No.3 John Kelly in ‘89 forced Tommy to move back from his favoured midfield position into full back, a role he fulfilled with great ease. A superb athlete and a very positive influence within the club, Tommy played regularly with the Clarets for the best part of fifteen-years, before moving away from London in the mid-1990s. Tommy also played in the 1982 Championship final, the club's first ever county final. Having been a regular member of the senior team for many years, London-born Eamonn missed out on the start of the 1989 campaign and as a consequence, lost his starting place in the early rounds of the Championship. However, once he had managed to reclaim the corner back slot for the semi-final, he more than proved his worth, as St Clarets marched to their first ever Intermediate title. A tall, powerful athlete, he will be best remembered for a remarkable goal line clearance in the first half of the final against St Anthonys, an action that enabled the Clarets to maintain their early stranglehold on the game. Eamonn played for a further season with St Clarets before retiring. Eamonn also played in the 1982 Championship final, the club's first ever county final. Few players have given so much to a team and asked for so little in return. Dedicated, understated and totally reliable, Paul was a mainstay on the St Clarets side for almost twenty years. A tenacious defender and leader of the back line, London-born Paul’s presence was fundamental to the ’89 Championship success. Always willing to advise and encourage the younger players around him, Paul’s ability to read the game was a key component of the story behind the ’89 Championship triumph. Paul also played in the 1982 Championship final, the club's first ever county final. Colm made his debut for the senior club back in the mid 1980s and is still a member of the senior squad now, although 2011 has been the first year that he hasn't been a regular starter. Colm starred for the London minor team in '86 and '87 and had no difficulty cementing down a place in the Clarets' half back line for the '89 Championship success. Having come up through the youth ranks, Colm has represented London with distinction at minor, U-21 and senior level and in his time with the Clarets has won two Intermediate Championship medals and a Tipperary Cup as well as playing in the club's only ever Senior Final in 2002. A tenacious defender, Colm also spent some time in midfield, but has always been most comfortable at the heart of the defence in the No.6 position. Now that his playing career is drawing to a close, Colm is following in his own father's footsteps by running the under age section of the club. 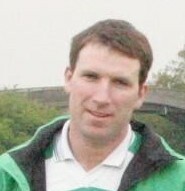 His own son, also Colm, was a key member of the club's all-conquering U-14 team in 2011. 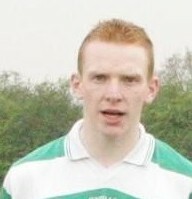 Colm is one of four Lynott brothers to have played senior for St Clarets. An uncompromising defender, London born Carney was a vital cog in what was a very impressive and effective half back line in 1989. Like many of his team mates at the time, he had benefitted greatly from a football apprenticeship served under Denis McCarthy and the knowledge gained in those formative years served John well as St Clarets matured into a senior club. Operating on the wing Carney enjoyed his excursions into the forward line when the opportunity presented itself, but was always able to get back to carry out his defensive duties with distinction. John also played in the 1982 Championship final, the club's first ever county final. “Gilly” was a key component of everything that St Clarets achieved throughout the first twenty years of the club’s existence. A classy midfielder and natural-born leader, Gilly could always be relied upon to deliver a top-notch performance, regardless of the opposition. As well as his talents on the field, he was often the voice of reason off it, and set an outstanding example to all his team mates. Blessed with great fielding ability and game awareness, Kevin was a fundamental part of the 1989 Championship winning team, a just reward for his years of dedication to the club he first joined as a teenager. He was also a regular with the London Junior team for many years. Kevin also played in the 1982 Championship final, the club's first ever county final. Being the eldest son of the manager is never the easiest of labels to carry, but when your father was a player of the quality of Denis McCarthy snr, then the burden can be quite debilitating for some players. Not so in the case of Denis jnr, who throughout his 20-plus year playing career with St Clarets, proved himself to be a player of the highest calibre. This quality was demonstrated perfectly in 1986 when he was part of the London Junior team that won the All Ireland Championship after defeating Cork in the Final. Although he started life as a defender, Denis matured into a very effective half forward, whose desire to win was matched by his ability to deliver performances of the highest level. After retiring from playing, Denis was fundamental in resurrecting the under-age system within the club and now has two sons playing on the senior side, with both Joe and Sean regularly proving their worth. Denis also played in the 1982 Championship final, the club's first ever county final. Galway-born Danny arrived in London in the late 1980’s and soon established himself as a tigerish footballer, equally at home in the half back line or the half forward line. Selfless and hard-working on the football field, when Danny finally settled into a regular starting berth in the forward line, he was often there more as the creator and provider of chances, rather than as the finisher. He starred in the ’89 team in the half forward line, where his work ethic reaped rich rewards for fellow forwards Gerry Lynott, Ollie Walsh and John Carey especially. Danny left London to return to Ireland in the early 1990s. Kilmaine native Ollie Walsh arrived in London in 1989, following in the footsteps of his older brother Brendan, who had played for the club in the early 1980s. A former Mayo minor, Ollie was a highly skilful and athletic footballer, who could operate anywhere in the forward line. His eye for a score was crucial to the team in his solitary season with the club and during that time, he was also selected to play for the London U-21 side, with whom he won a British Championship medal, to go along with the Championship and League double he won with St Clarets that same year. Ollie returned to his native Mayo in 1990 and in 1995 won an All Ireland Junior Championship with his home county, ironically by beating London in the final. Always a solid performer, nestling in at corner forward, Galway man John Carey served the club loyally for almost a decade before returning to Ireland. Carey will always be best remembered for is incredible scoring feats in 1989, when he landed 0-7 in the Intermediate Championship Final and then continued that rich vein of form with equally impressive displays to help the club lift the Sean Shields Cup and also the League title. Like so many in the latter stages of their careers, John relied on his game awareness and experience to make sure he was in the right place at the right time, and those instincts rarely let him down. 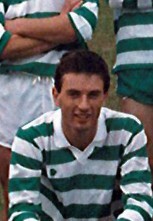 Gerry shot to prominence for St Clarets by scoring a total on nine-goals en-route to helping the club win their first ever Intermediate Championship back in 1989. Still a teenager at the time, Gerry proved to be an effective spearhead to the attack that year. One of the four Lynott brothers to have played senior for St Clarets, he has represented London at minor, U-21 and senior level with distinction, and was also part of the team that won the club's second Intermediate title in 1999. In more recent years, Gerry has been troubled by persistent injuries and his availability has been limited. They always say to watch out for the quiet ones, and never was that more appropriate than when talking about Tipperary man Declan Ryan. Declan only played one season for St Clarets, but what a vital contribution the softly spoken Garda trainee made in 1989. Drifting between midfield and the full forward line, Ryan could always be relied on to deliver a high level performance week in week out. His early goal against St Anthonys in the final was a perfect example of just how important Declan was to the 1989 campaign. 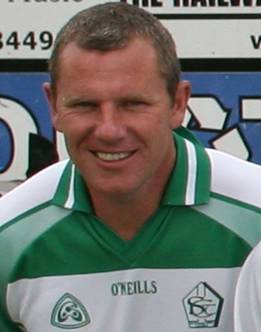 Galway native John Kelly joined the club in 1985 and soon established himself as the club’s most reliable full back. 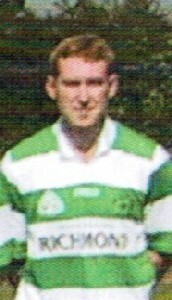 Having arrived from his home club Ballygar shortly after leaving college, John was a mainstay of the team for the majority of the next fifteen years. Sadly injury ruled him out of the 1989 team, although he did take on a role as selector that year. Regrettably a serious knee injury cut short his playing career in the late 1990s, although since then John has filled the roles of team manager and selector for several years, including 2002, when the team made the county senior final for the first time. Currently he is the Chairman of the club and is helping to keep the club’s philosophy of developing young talent alive, by overseeing the progress of his own son, Luke (among others), onto the senior team. The eldest of the four Lynott brothers, Kevin played a key role in the 1989 campaign, deputising as net minder in the first two rounds of the Championship, a role he was more than competent at. However, there were far more strings to Kevin's bow than merely being a stand-in keeper and he also featured prominently in the forward line throughout 1989. Schooled by is Mayo born father, Kevin was a fantastic athlete whose versatility and athletic ability were his biggest strengths. Kevin moved to America in the 1990s to work as a soccer coach and didn't get the opportunity to play on the same St Clarets side as his youngest brother, Patrick, thus denying St Clarets the opportunity to see all four Lynott brothers in action on the one day. Like many St Clarets players before him, Brendan started his football career with local rivals St Brendans. During those early days he represented London at both minor and U-21 level and after joining St Clarets in 1989, he continued that trend and went on to win Provincial honours with the county at under-21 level. A key member of the 1989 panel, Brendan missed out on a starting place in the final due to the excellent form of both John McCarthy and Eamonn O’Shea in the corner back slots. Shortly after that success, Brendan transferred to Harlesden Harps and later on to St Josephs, where he enjoyed something of an Indian summer to his football career, helping to nurture many of the young London-born players that the Greenford club were trying to develop at the time. Adrian developed into a tough tackling corner back in the short time he played for St Clarets. Something of a late starter, particularly when compared to many of the other London born players, Adair's progress was almost meteoric and within a year of starting to play the game, he had been selected for the London minor team, a side with whom he won a British Championship medal. 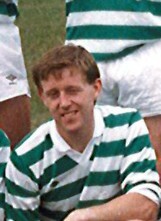 Although Adrian didn't feature in the Championship Final of 1989, he did however play a significant role in the league campaign that year, as well as playing in the Sean Shields Final. Adrian played for one more season before moving to Queensland in Australia. What should have been Colin’s breakthrough year for St Clarets in 1989, instead turned into a year of frustration, as injury prevented him from playing a full part in that year’s campaign. A graduate of the same under-age teams as Gerry Lynott and Paul Myers, Colin’s misfortune with injury was sadly to become a feature of his football life. A versatile and gifted player, Colin was comfortable either in attack or defence, with his tenacity always being a great bonus when he was operating in attack, due to the fact that, when the opposition had the ball, he was always prepared to put in the hard work to get it back. Likewise, in defence, Colin could always be relied upon to be the springboard for attack, particularly when playing at wing back. Despite a career blighted with injury, Colin remains committed to the club and is still a regular at many St Claret’s matches. Limerick man Gerry was your typical corner forward - speedy, with a low centre of gravity and an eye for goal. Gerry drifted in and out of contention during his time with the club, although he did offer great options in attack when he was available. Sadly for Gerry, the sheer quality of forwards available to the club at the time meant that as the Championship progressed, his opportunities became more and more limited. There were no particular surprises with what you got from Limerick man Liam whenever he represented the club. A big strong full forward, he enjoyed life on the edge of the square and could be more than a handful for any direct opponent. 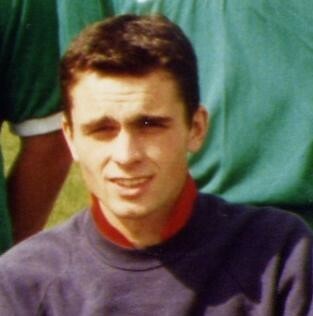 Liam played for St Clarets for several years, although 1989 was interrupted for him by injury. However, throughout his time with the club, Liam became a valued member of the squad and a regular member of the starting team. Although Liam remained in the Hayes area, he drifted away from the Clarets after the 1989 season. Liam was always known for being forgetful. His shirt remembered to come to the photo-shoot .... but Liam forgot. We'll get him next time. When the footballing gods were drawing up the blueprint for tough, uncompromising, solid and somewhat intimidating defenders, then they surely had big Ray in mind. Ray played an important part in the early stages of the 1989 season, but was unavailable towards the end. Nevertheless, his presence in the squad ensured that anyone else with designs on a corner back slot, needed to be playing at the very top of their game. Cork man Tony was one of the quieter and more unassuming players of the 1989 class. That fact though did not take away from his popularity within the group. Having started brightly in his first season with the club, an unfortunate broken arm ruled him out of the majority of the season, although his commitment to the team and the club was unwavering throughout that summer. A tidy corner forward, with good awareness of what was happening in a game, it was a blow to lose his services that summer. 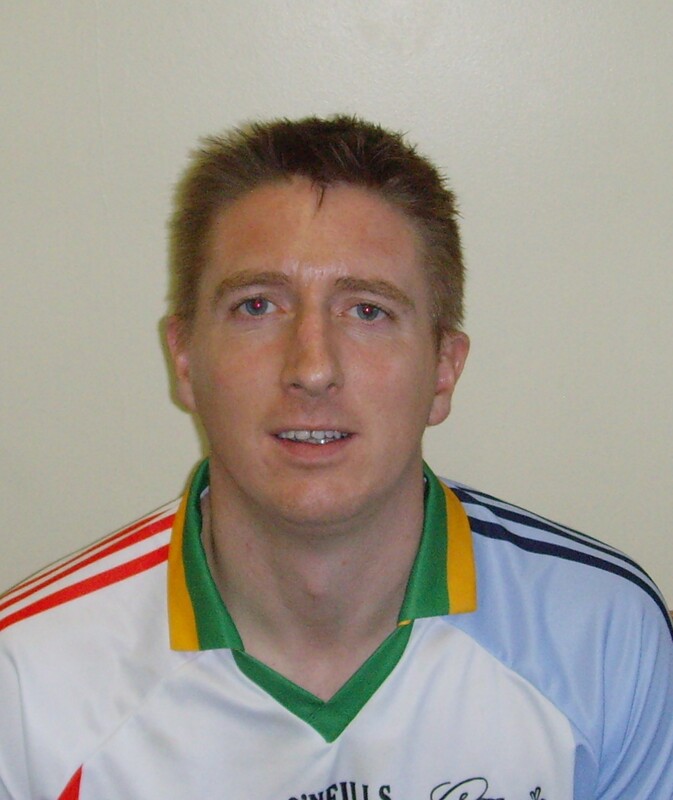 In the three years that Tyrone man Paddy Quinn played for the club, not only did he help us to win our first ever senior trophy, when we lifted the Tipperary Cup in 2003, but he also captained the team to the Intermediate Championship the following year. 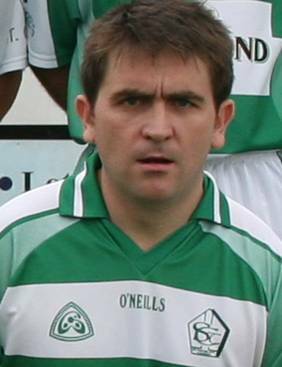 In doing so Paddy also established himself as a regular and valued member of the London senior football team and played a starring role in the Exileâ€™s narrow defeat to Roscommon in 2005. If ever the phrase â€œleading by exampleâ€� was applicable to any individual, then it was Derrylaughlin man Quinn, for during the time he was with the club, he set a standard the many players aspired to. Equally at home in midfield or in attack, Quinn came from the same mould as St Claretsâ€™ other two Championship winning captains â€“ Martin Hession and Tony Murphy. 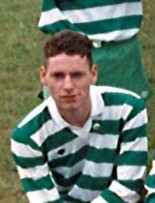 Paul made his debut for St Clarets as a teenager in 1989 shortly after the side had won their first Intermediate Championship and has been a virtual ever-present since then. Blessed with astonishing reflexes and a safe pair of hands, Myers has time and time again proved to be the difference between victory and defeat. Despite missing the 2002 Senior Final through illness, Myers bounced back from that set-back and in 2004 was named London Footballer of the Year by the Irish World. Even though he is now nudging 40, Paul can still be relied upon to perform at the highest level when needed. He came, he saw, he conquered and then quietly slipped away again. That is probably the best was to describe Finbar O'Reilly's involvement with St Clarets. Unassuming in nature, and deceptive in stature, Finbar was a real find for St Clarets and instrumental in making the side so hard to beat on their march to Championship glory..
Dubliner John Ryan was one of the finds of the season in London football in the summer of 2004 and it was lucky for St Clarets that it was us who made the find. Ruthlessly efficient and effective in the full back line, Ryan delighted in going man-to-man with his direct opponent, and as the saying goes "letting the best man win". Invariably in such situations, it was the big Dub who would do the winning..
Stevan began his youth football career under the watchful eye of his father Brendan while playing for Hillingdon Gaels in the late 1980s and by the mid-1990s had established himself as one of the mainstays of the St Clarets defence. Stevan's performances over the years have been consistently good enough to earn him recognition for London and he played for the county in the National League in 2002. A strong and solid defender, Stevan's experience and calmness can always be replied upon when the stakes are at their highest. 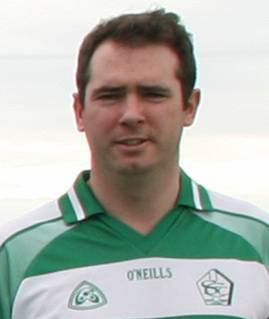 Stevan had the honour of captaining the club when they played in the Senior final in 2002 and has also won a Tipperary Cup, the club's only senior trophy to date. Having arrived at the club almost a decade ago, “Mossie” has been as committed and talented a member of the St Clarets alumni as any of his peers. Tireless in his efforts, both on and off the field, Mayo man Mossie has contributed a great deal to the club as a player, a committee member and also as a coach. Elusive on the field, he is never found wanting when it comes to his efforts for St Clarets. Monaghan man McMahon only played the one season with the club but during that year, he was instrumental in the march to Championship success with some fantastic displays in midfield for the men in green and white. A phenomenal free-taker, McMahon was responsible for 0-6 in the semi final and 0-3 in the final, all from frees, and it was this accuracy that gave the Clarets the cushion they needed at times when they were under severe pressure in both games. But aside from the quality of his free-taking, McMahon also had an incredible appetite for work on the field and his high fielding could be exemplary. Big Brian has been there and done it all with St Clarets, stretching right back to the Senior Final in 2002. Now, dare we mention it, a veteran, Brian can still be called upon to put in a solid shift in the middle of the field when required. The big Armagh man, has also been included in various London squads down through what has been a very honourable career thus far. Tireless in his running and work-rate, Tony was a regular on the London senior team for almost a decade and also captained in the London Junior team in 2005 as they lifted the British Junior title for the first time in almost a decade. Still available for selection for St Clarets despite nudging his mid-40s, silver-haired Tony also fulfils the role as selector for the London senior football team. Kildare man Kinlon was one of the most decorated players to ever play for the club. A talented dual player, not only did Erik pick up Championship and Tipperary Cup honours with St Clarets, but he also won two SHC medals in London with Fr Murphys as well as Nicky Rackard Cup with London, when they defeated Louth in the first ever Nicky Rackard Final in Croke Park. Kinlon had a ferocious appetite for the game and often could be seen at the end of a hurling match for Fr Murphys, merely changing his jersey and walking back onto the field to play for St Clarets, or vice versa, and regardless of his exertions in the first game, Kinlon would inevitably deliver the same level of quality in the second match. While not the most prolific of scorers in football, he was nonetheless, the scorer of important scores as well as being one of those forwards with a ravenous appetite for hard work and the defensive side of the game. A former All Ireland winning, under-age star with Tyrone, Hughes rediscovered his love of football while playing for St Clarets in London and it was a discovery which was mutually beneficial to both the man and the club. A classy forward, with a wide array of tricks to his repertoire, Hughes struggled at first when joining the club following a lengthy absence from football. However once his fitness and touch began to return, Hughes was simply too good for the majority of defenders he encountered in the Championship winning season of 2004. His ability to throw defenders off balance was of the highest order and as well as being a top class finisher from play, he could also be relied on to finish well from free kicks, particularly from within 21metres. Big John was something of a latecomer to the game having not played seriously until he was in his mid-twenties. 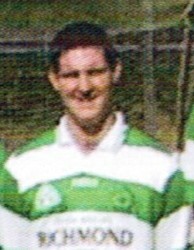 However, after much coaxing from former club stalwart Dermot Wallace, John made his debut back in 2003 and promptly helped the club to their first senior trophy when they won the Tipperary Cup that same year. He followed that success the following year with an Intermediate Championship medal and since then he has been one of the mainstays of both the team and the club. Always enthusiastic and willing to be involved, John is quick to point out the influence that people like Tony Murphy, Stevan Sherry and former captain Paddy Quinn have had on him during his time with St Clarets. Determined to outlast the legendary Martin Hession, John's main ambition for the club is to see the continued introduction of young players from the under-age system into the senior side. Galway man Ryder was an absolute stalwart of the club for well over 15 years, from when he joined them as a minor back in early 1990, through to his retirement from playing in the late 2000â€™s. Through that time, Ryder served the club selflessly both as player and as a administrator. A rugged corner back who had the ability to make any forwardâ€™s life difficult for the duration of any hour of football, Ryder experienced all of the highs and lows of the club during his playing career. Although not a regular starter in 2004, he had played in the senior final two years previously. A former captain of the club, Donncha could always be relied upon to put the needs of the team first and could be guaranteed to deliver an honest shift every time he pulled on the hoped jersey. Martin Falvey proved his worth time and again for the club over the half dozen years or so that he played for us. Hailing from Valentia in Kerry, Falvey was the sort of player who could turn a game on a moment of brilliance, especially when operating at wing forward. Despite being somewhat lightweight in his early days with the club, Falvey had a tigerish appetite for the game and often came away from situation with possession that most felt he would never achieve. Typical of so many Kerry footballers, there was a cunning to Martinâ€™s play that was sufficient to out-wit most of his opponents. Currently in Australia, it is hoped that Martin will once again be part of the St Clarets experience in the future. 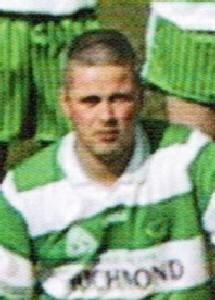 Dan Sheehan was one of the most loyal and committed player to play for St Clarets during the mid-2000s. Displaying a real savvy for the art of forward play, typical of so many Kerrymen, Sheehan time and again was on hand to poach the vital goal or to set up an opportunity for a colleague. In particular, his goal in the Tipperary Cup Final in 2003 will be long-remembered as well as his partnership in attack with Patrick Lynott; with the two players having a very keen awareness of the otherâ€™s movements. Big Dan was one of those typical edge of the square full backs, always comfortable and reliable under the high ball. He played for the club for several years and for the vast majority of the time the Cork native started at either full back or in one of the corners. The excellence of new arrivals John Ryan and Finbar Oâ€™Reilly in 2004 denied Dan the opportunity to play in the final that year. However, that fact should not take away from the contribution that Dan made to the development of that particular team. 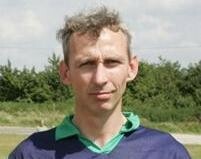 A dependable clubman for the time he was involved with St Clarets, Leitrim man Gerry was a key part of the defensive effort in 2004. The quality of the incumbents of the back three positions especially denied Gerry the opportunity to play more games in 2004. Seamus was a reliable servant for the club for almost five years and during that time he fulfilled many different roles in the team. Having joined the club after a brief time with Kingdom Kerry Gaels, Cork man Seamus became a regular and reliable squad member for several years, always providing quality cover in defence wherever it was needed. Most comfortable in the forward line, Seamus though filled in in defence from time to time. 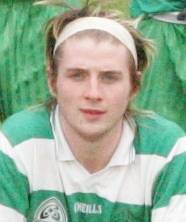 Multi-talented Ballaghaderreen man Brian, played for the club for several seasons in the early 2000s. 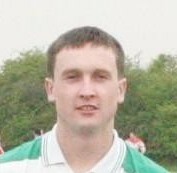 Although primarily an out-field player, when regular goalkeeper became a long-term absentee in the summer of 2002, it was Brian who stepped in between the posts and his performances in the No.1 position were a vital contributory factor in helping the club reach their first Senior Championship Final. Brian is a graduate oh NUI Maynooth and now lives in Dublin. He was also part of the team in 1999. New Zealand born Mark has been a key member of the club for several years now, stretching right back to the senior final of 2002. Having learned to play the game in the tough leagues of Auckland, Mark has brought with him sound skills and excellent fitness. A rugged no nonsense type of defender, Mark is always a welcome addition to the back line. Always a popular member of the club, Mark's presence helps to increase the international dynamic of the club. 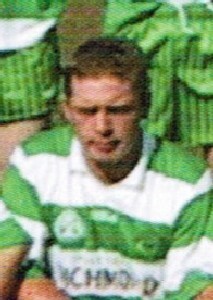 Dermot Wallace was the rock upon which much of the success of the team between 1999 and 2002 was built. Deceptively fast, cool under pressure, the strength of a gladiator and ferociously competitive, London born Dermot defined excellence for several years at full back. His partnership and understanding with Paul Myers in and around the goal area was as good as any that St Clarets have ever had. 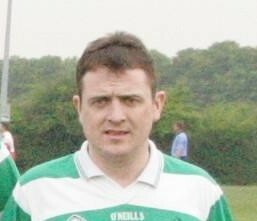 Like Steven Sherry, Dermot was an early graduate of Hillingdon Gaels before moving on to St Clarets. An accomplished rugby player too, sadly Dermotâ€™s football activities were cut short by a serious leg injury in 2003 and his premature exit from the full back slot was a blow that took some time for the club to overcome on any sort of permanent basis. 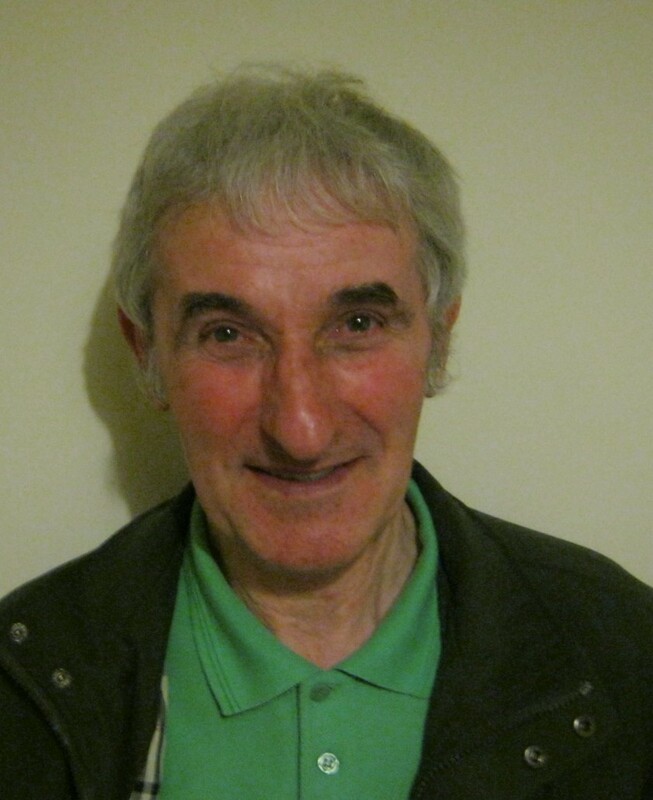 Dermot was the personification of everything positive about football and about St Clarets. 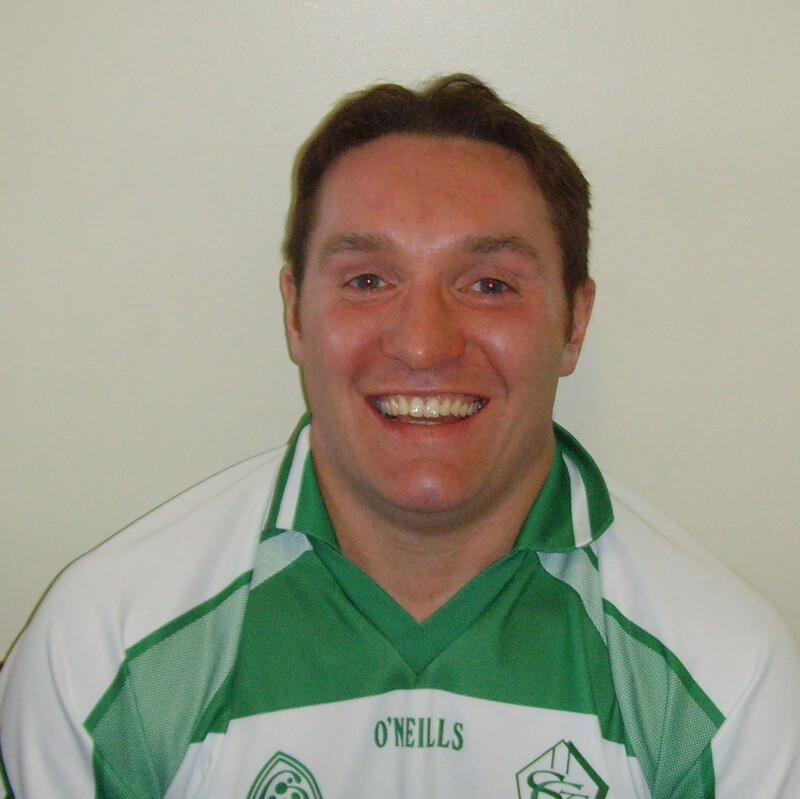 Offaly man Tony was one of two Coughlans to represent the club for a number of years, the other being his cousin John. A consistent performer throughout his time with St Clarets, Tony's reliability at corner back, complimented the toughness and consistency of the rest of the club's defence at that time. 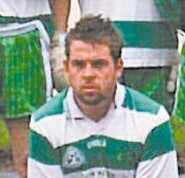 Playing in the 2002 SFC final was the highlight of Tony's time with the club, during which he gained much respect from his fellow team mates for his practical approach to the game. Alec was one of lifeâ€™s eternal subs, totally by choice and nothing to do with the esteem that he was held in within the club. Despite making the centre half back position his own for several years, Kerry manâ€™s MacIndoeâ€™s refusal to don the No.6 jersey meant that he appeared in every game wearing No.16. Occasion made no difference to Alecâ€™s choice of jersey and in the county final programme of 2002 he is listed among the subs, due to the number of his jersey, despite the fact that he was very much part of the starting XV. A player of immense quality and great talent, during his time with the club, Alec became one of the most respected defenders in London. Alec now lives in Newbury. Cork man Gerry hails from the area of Drimoleague and Drinagh, where his local club is Clann na Gael, otherwise known as "The Scorchers". Throughout his time with St Clarets Gerry proved to be a loyal and faithful servant to the club, a period that stretched over the best part of a decade. 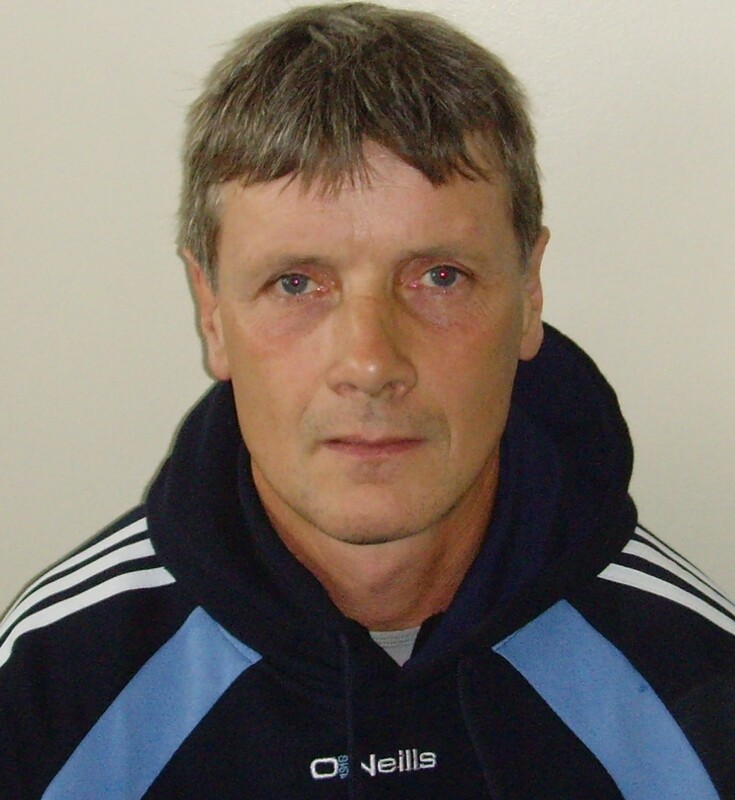 Always a consistent performer and also a hugely dedicated club man, Gerry was a cornerstone of the defence for many years and always one of the most reliable operators. Unassuming in his approach to the club and the game, Gerry was one of the most popular figures within the club during his time with us. He is a club mate of another former Clarets defender, Dan Keating. 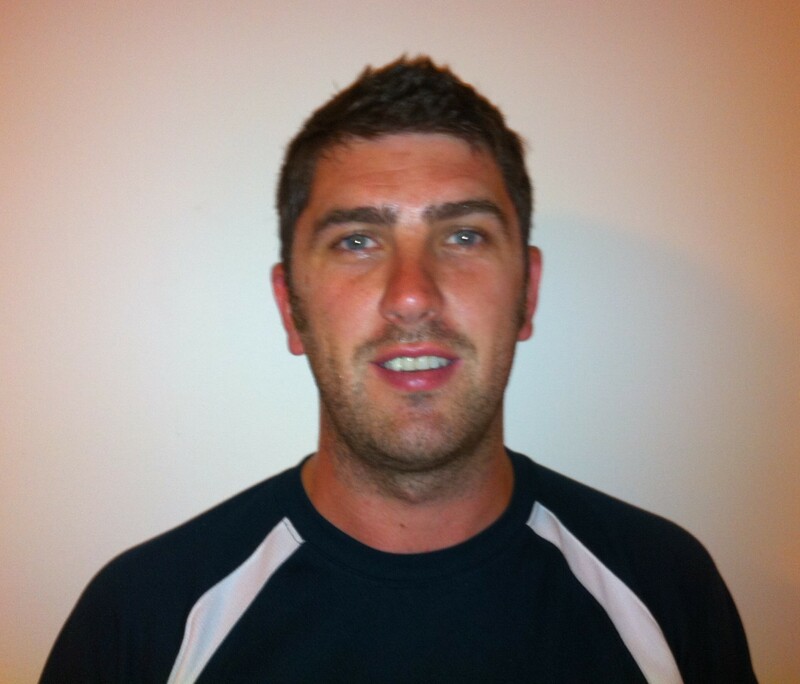 Sadly, work commitments led to Gerry moving north and thus ending his playing relationship with the club. Mark Burgess was the second of our kiwi contingent in the early 2000s. Yet another graduate from the Auckland GAA school of hard knocks, Mark settled into the half back line with the club and made the position his own for a number of years. Mark got married and moved back south of the Equator, but this time to Australia. Obviously the Auckland school of hard knocks was too hard for Mark! A top bloke and a top player. Roscommon man Declan arrived in London and quickly established himself as a very competent midfielder with St Clarets and was soon on the radar of the London senior football selectors. While work commitments made it difficult for Declan to commit to the county, his involvement with St Clarets was never an issue. Forging a great partnership in the middle of the field with Brian McNeice, Declan became an integral part of what was a very polished engine for two seasons before moving to Australia. 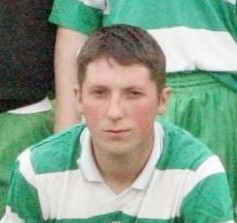 Declan started in midfield in the 2002 senior county final. A brother of current club chairman John, Mattie Kelly played for almost a decade with St Clarets and he will be best remembered for his hard-working attitude and is not inconsiderable talent. Most comfortable in attack, Mattie had the knack of being in the right place at the right time, especially in and around the goal area. Making his trademark lung-busting runs from wing forward especially, Mattie had the ability to avoid the attention of defenders with apparent ease. 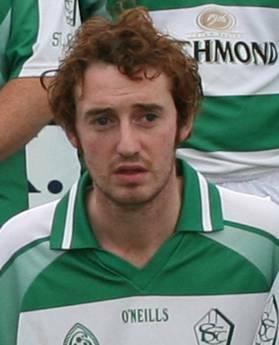 Galway man Mattie stopped appearing regularly for the club in the mid-2000s and was one of three brothers to appear for the team, along with John and Kieran. 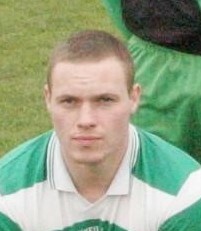 Limerick man Joe joined St Clarets in the early part of the 2000s, just in time to be part of the clubâ€™s historic first ever appearance in a county final in 2002. Hailing from the Pallaskenry club in Limerick, Joe was a hard working half forward, who valued similar qualities in his team mates, and always held the approach of players like Colm Lynott in high esteem. However, being a forward by trade, it was always going to be another attacker who captured his imagination and being a Limerick man, and what with the county not being blessed in that particular department, Joe is quite happy to highlight Maurice Fitzgerald as is all time football hero. Joe now lives and works in Australia where he is a rep for Unilever. Tyrone man Mickey quickly established himself as one of the most energetic and most-recognisable figures in the St Clarets team during his four years with the club. A forward of the very highest quality, Mickeyâ€™s personality and attitude sat well within the St Clarets club, with his desire to always prove the doubters wrong one of his key personality traits. A natural underdog within a pack of underdogs one might say. 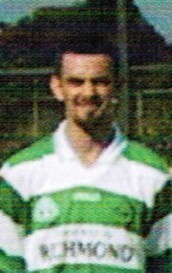 Without doubt the sheer quality of McConomy as a footballer was instrumental in helping the club make the senior final in 2002. Mickey was also a regular member of the London senior team for several years. Like his fellow Claretians and rugby team mates Dermot Wallace and John McDermott, Steve was blessed with phenomenal strength and great athleticism - traits that made him a handful for any opposition full back. Somewhat unorthodox in his style of play, this fact however did not take away from Steve's effectiveness and for several years he was a reliable source of scores for the Clarets. Simply known as Superstar during his playing days, Steve worked hard to justify that particular moniker. Steve served the club for several seasons with distinction. 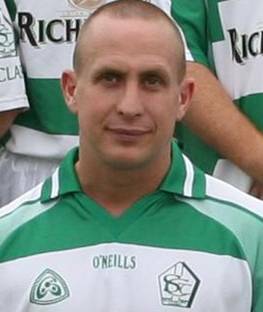 Offaly man John Coughlan was a rock in the St Claretsâ€™ defence in the late 1990s and early noughties. His cool presence and general excellence was a crucial factor in the development of some of the younger players emerging out of St Clarets at the time, particularly Dermot Wallace and Stevan Sherry. John was joined at St Clarets by his cousin Tony and they played together for a couple of seasons before John left London. John was the son of a former Offaly player, also John. 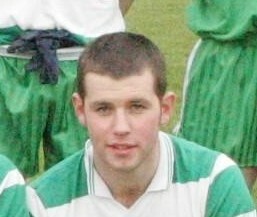 Tyrone man Stockton played for St Clarets for one year and was instrumental in helping the club to win the IFC in 1999. Haling from Newtownstewart, the same club as fellow forward Mickey McConomy, the pair of them made a very effective attacking combination and helped to bring the best out of the players around them. For most, Denis McCarthy is without doubt the father figure of St Clarets, not just with regards to his two sons Denis and John, who played for the club for many years, but also to the dozens of other young players who have represented the club throughout its history. 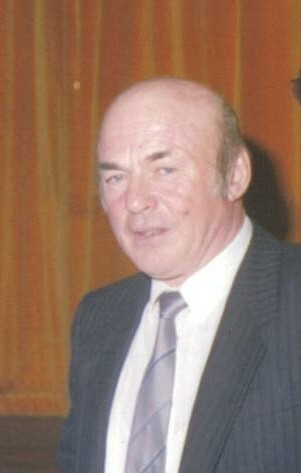 He was one of the founding members of the club in the mid-1970s and he remained one the central characters in the story, all the way through until his passing in 2005. A highly talented footballer himself, Denis had a passion for the development of young London-born players. It was this passion, coupled with his vision for what could be achieved with these players, that was the driver behind the formation of St Clarets. His philosophy was proven to have real credibility, when in 1982, a St Clarets side with thirteen London-born players on the starting team, competed in the Intermediate Football Championship Final. Seven years later, the club was to lift their first Intermediate crown with a panel containing a dozen home-grown players. Denis and his wife Rose, worked tireless for the club and also the London Minor Board and they were both involved with many successful London teams through the years. Indeed, Denis was one of the key men behind the London Minor Boardâ€™s historic trip to New York in 1987. Always a hugely popular figure both within the club and within the wider GAA community, Denisâ€™s legacy and belief in the value of home-grown talent will continue to live on, not just through the St Clarets club, but also through the presence of three of his grandsons registered with the club at this point in time: Sean and Joe McCarthy, who are currently on the senior team and Liam Hession, who is currently learning the game in the clubâ€™s youth ranks. A more in-depth look at the life of Denis McCarthy can be seen here. 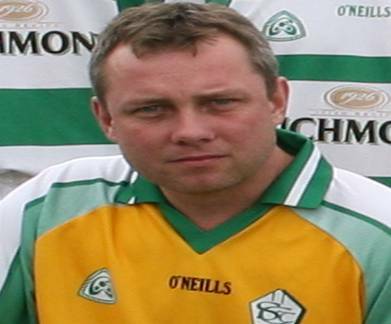 Kerry man Danny Collins was one of the famous â€œKerry mafiaâ€� who were to the forefront of the club when it was first formed in the mid-1970s. A former member of the Kingdom club, Danny went on to provide years of unselfish dedication to St Clarets, a club that over the course of time, all three of his sons, Brendan, Danny and Eamonn, would go on to represent. Having been particularly involved in the early days of St Clarets, Danny highlights the 1978 Minor Championship victory as one of his fondest memories, while it was the Feile victory in 1982 in Cavan, that he felt was the clubâ€™s finest achievement. With a keen eye for talent, Danny like so many others involved with the club, feels that Kevin Gilmartin was the clubâ€™s greatest ever player, while he holds the contribution of the late Denis McCarthy in very high esteem. 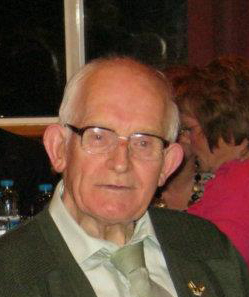 Danny was still actively involved with the club and held the position of Honorary Life President until his passing in 2014. 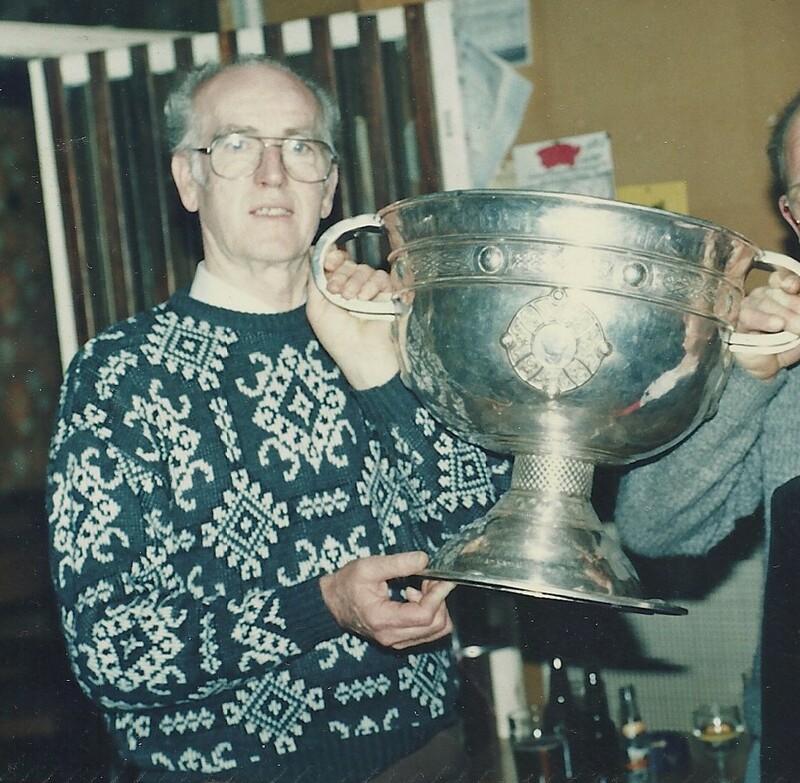 Kerry man Mick O Shea was one of the founding members of the club and another member of the famous Kerry mafia who worked so hard to get the club up on its feet in the early days. A passionate GAA man, Mick had originally been involved with the formation of the St Brendans club in 1956, which was also originally based in Hayes. However, as the number of young London born players grew within the Hayes area, the opportunities for them to play football regularly were reduced, due primarily to he fact that there was only one club operating in the district at the time. In 1975 the decision was taken to form a new club, St Clarets, which over the period of time developed Botwell Club as its natural home and meeting place. When in 1982, St Clarets competed in their first Intermediate Championship Final, Mick&apos;s son Kevin was on the panel, along with an astonishing 13 other London born players, a fantastic testimony to the club&apos;s belief in the value of young London born players. Of course the player that Mick rates most highly is also London born, and he selects him not just for his outstanding football ability, but also his natural leadership qualities and that is Kevin Gilmartin. While the person that Mick feels the club owes the most to is his fellow Kerry man Denis McCarthy. Mick speaks warmly of Denis&apos;s energy and enthusiasm, which as always were accompanied by that little whistle. Mick still holds the role of Vice President within the club. Mick first became actively involved in the club in 1991, following in the footsteps of his son Colin, who had developed into a fine footballer through the under age and who was also part of the squad that won the 1989 Intermediate Football Championship. Despite Colin&apos;s own involvement being interrupted due to injuries, Mick&apos;s dedication to St Clarets grew and grew over the years. Hailing from Milltown in Galway, a team that were no particular strangers to Championship glory, Keane was to the forefront of the club in 2002 when they appeared in their first Senior Championship Final against St Brendans. The occasion was obviously hugely important to St Clarets as a club and ranks very highly among Mick&apos;s memories, although he also recalls a very famous league win over Tir Chonaill Gaels in 2004, that showed that St Clarets were a team to be feared at the that time. However, he feels that the clubâ€™s greatest achievement in Mick&apos;s time with was in winning the 2004 Intermediate Football Championship semi-final against Harlesden Harps, a win which took them one step closer to their third Intermediate crown. Always a great admire of dedication and skill, Mick highlights the likes of Tony Murphy, John Kelly, Martin Hession, Marty Hughes and Kevin Gilmartin as the best players he has seen in the green and white hoops. While the person he holds in the highest esteem during his time with the club is the late Denis McCarthy. Galway man Mick Keane&apos;s contributions to the club over the years include periods as Chairman, loyal committee man, staunch supporter, father of a senior player and father-in-law to senior players as well. Next on the agenda for him is to be the grandfather to a senior player, but he may have to wait 14 or 15 years for that, as Tadgh isn&apos;t quite there yet. Sligo man Frank will probably always be best remembered within St Clarets as Gilly&apos;s dad but his input into the club stretched far beyond that. In the mid-1970s, the so-called Kerry mafia of Denis McCarthy, Mick O Shea and Danny Collins approached Frank to ask if his son Kevin would be interested in learning how to play Gaelic Football for a new team they were setting up called St Clarets. Despite the obvious love of Gaelic games he displayed in London, Frank had no prior involvement with the GAA, as coming from a Sligo town, he played soccer for a local club. He always joked that he had to come to England to discover his passion for Gaelic football. 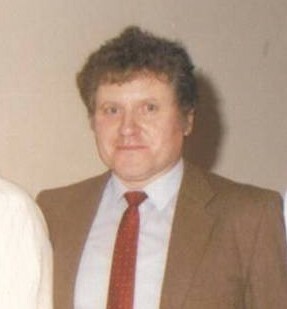 Despite his own involvement in the formation of St Clarets, Frank, in typically modest style, would always point to the contributions of others involved with the club, and he always said he admired the Kerrymen who started it all &dash; the Kerry posse, but particularly the commitment and dedication of Denis McCarthy senior. 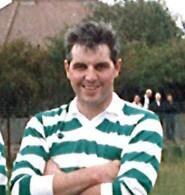 As for the players who served the club down through the years, despite having an obvious soft spot for his own son&apos;s achievements, it was another London born player whom he most admired, defensive stalwart Paul Traynor, who Frank reckoned could &apos;run forever and man-mark anyone out of the game if you asked him&apos;. As far as memorable moments with the club, Frank, having been there from the start, had the benefit of being able to recall so many memories and believed that the clubs&apos; under-21 Championship win in 1980 was the club&apos;s most memorable moment for him. Many of the players involved in that team were also involved in what he considered to be the greatest achievement for the club, when four London born St Clarets players played for the London Junior team against Warwickshire in the Junior Football Championship of Britain on 8th July 1984 at Ruislip. Those players were Kevin Gilmartin, Paul Traynor, Eamonn O Shea and Denis McCarthy. 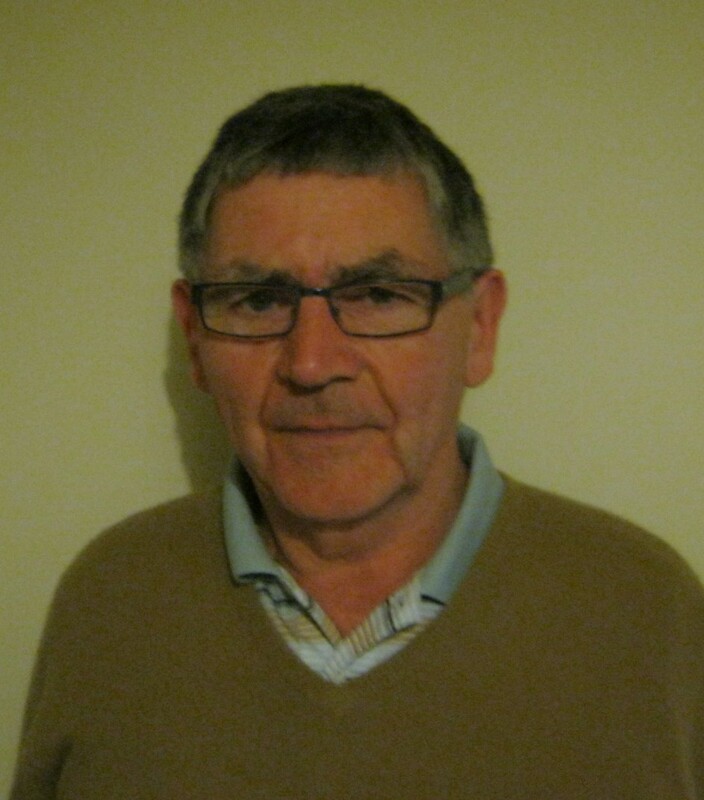 Cavan man John Marron can boast over 30 years of involvement with St Clarets as a committee man and as a loyal supporter and recruiter of players. 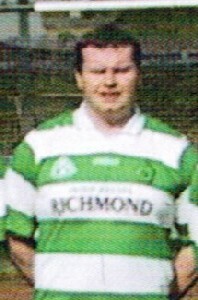 Hailing from Shercock in Cavan, Marran&apos;s previous involvement with the GAA in London had been with the now defunct Acton Gaels club. 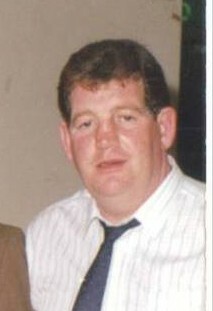 A true worker for the cause, John was very much to the fore of things in the late 1980s and early 1990s, and was an virtual ever-present at all matches and training sessions throughout the Intermediate Championship winning season of 1989, a season that John feels was the most memorable in his time with the club. Key to that success was the team&apos;s captain that year Martin Hession, a player John ranks as the best he has seen in the Clarets colours. Having been involved so often in the behind-the-scenes activities of the club, it is little surprise that it is the late Denis McCarthy whom John feels was the most influential person he encountered within the club. 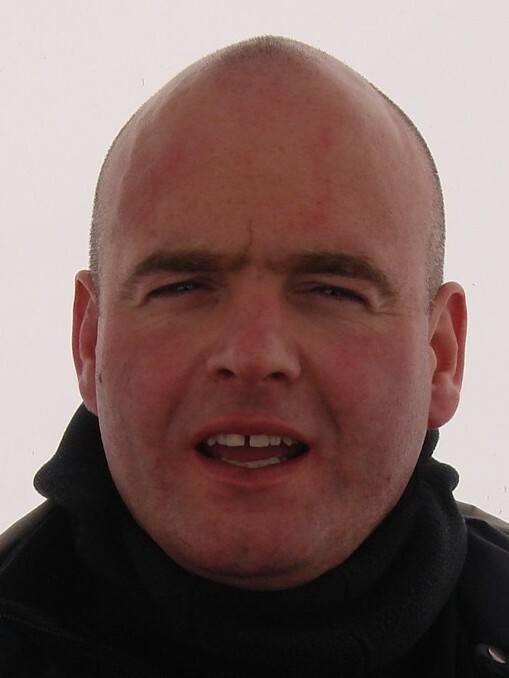 John is currently a Vice-President of the club. Offaly man Charlie McEvoy became involved with St Clarets in the late 1980s and since then has been a loyal supporter of the club. 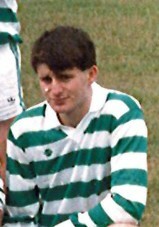 Charlie played a vital role in the 1989 season, assisting manager Denis McCarthy throughout the season and offering advice when needed. 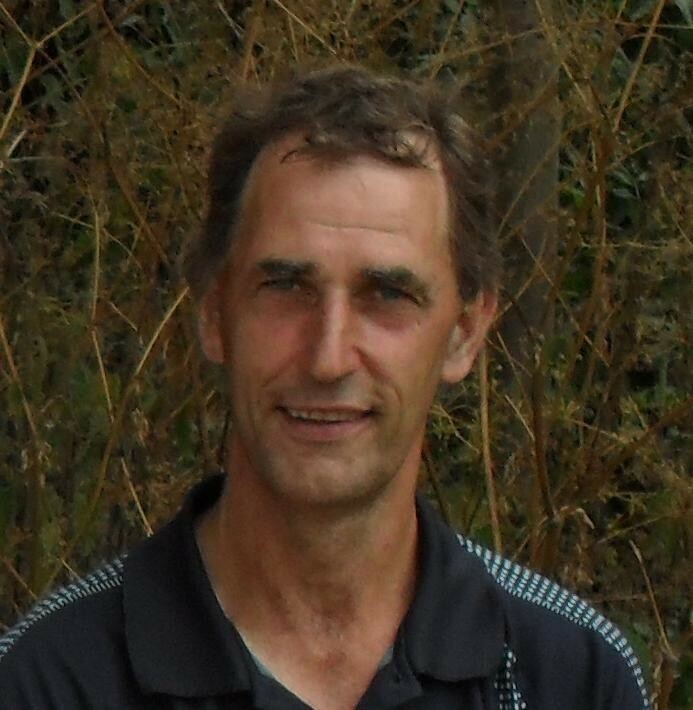 He was joined at the club in the mid-1990s by fellow Gracefield man Tony Murphy, an addition that helped to write many more memorable chapters in the club&apos;s history. Charlie is currently one of the club&apos;s Vice Presidents. 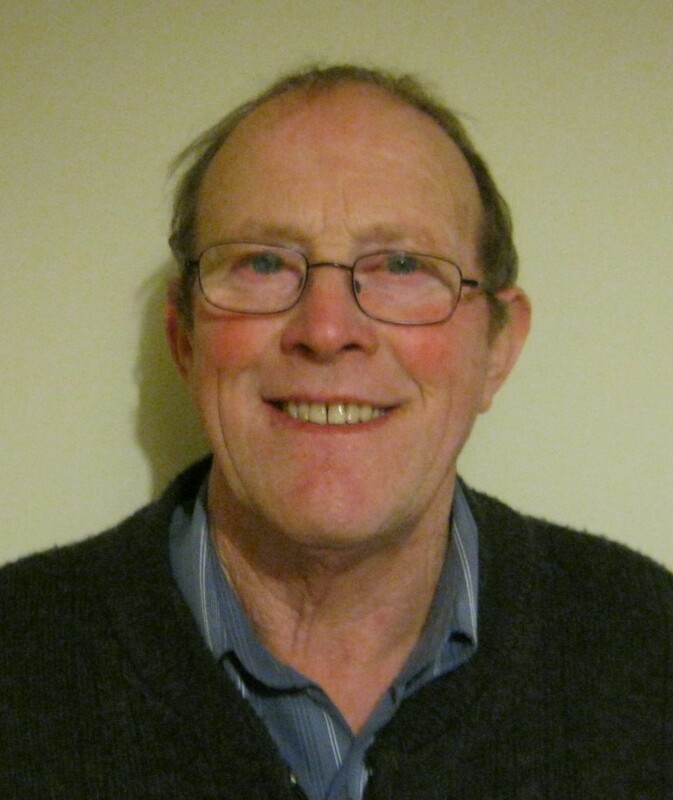 Scotstown man Brendan Sherry has had a long and intimate involvement with the GAA in the Hayes and Uxbridge area down through the years. A former member of St Brendans, Brendan was also the founding member of the Hillingdon Gaels youth side, from which future Clarets players like Dermot Wallace, Brendan&apos;s son Steven and Paul Myers all graduated. Once that work was complete, Brendan turned his attention to St Clarets and spent several years as Chairman of the club and was one of the driving forces behind the glory years between 1999 and 2004 in particular. The greatest of Mayo man Kevin Lynottâ€™s many contributions to the history of St Clarets is the fact that all four of his sons played senior football for the club through the years, with three of them going on to play senior football for London as well. Hailing from Ballaghaderreen, Kevin instilled a deep passion for Gaelic games in his sons and that passion has been passed on to the next generation of Lynotts too, with his grandson Colm currently starring in the clubâ€™s youth teams. However, Kevin has also offered more than that to the club and throughout the years he has been a dedicated club man in fundraising, player recruitment, club driver and club supporter. Kevin is currently a Vice President of the club. Limerick man Jim is one of the true legends of St Clarets and indeed the wider GAA community in London. A truly dedicated clubman, Jim for many years was the team&apos;s kit man, selflessly washing the gear week in and week out, as well as providing all the refreshments the team needed. Jim has been present at every success the club has enjoyed at senior level and is held in high esteem by all past players. A founding member of St Brendanâ€™s GFC, along with another St Clarets legend Mick O Shea, Jim decided to throw his lot in with St Clarets when they were formed, a move that benefited the club greatly. 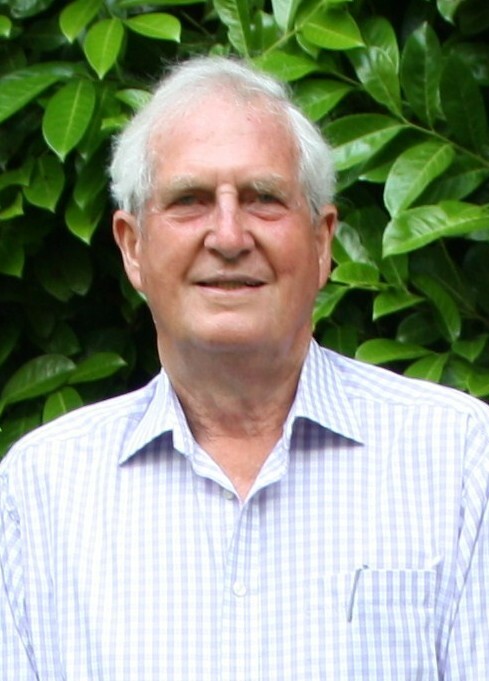 Jim was a Vice President of the club until his passing in 2014.